Mint’s contemporary and timeless aesthetic, along with its versatility, make it easily adaptable to any work environment. The system features 40mm stylised tubular steel legs that have a unique splayed appearance. The legs come in both Silver and White and also offer a 150mm height adjustment making it flexible in a variety of settings. 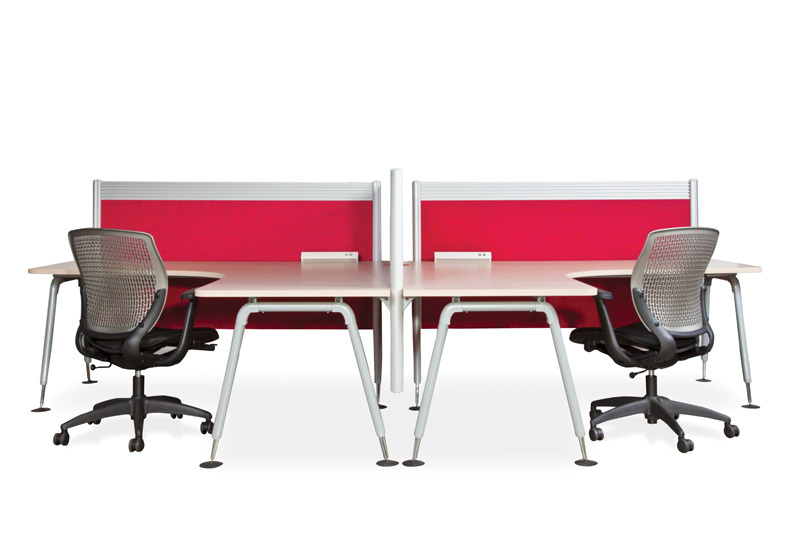 Mint workstations can be arranged into a range of configurations including two, three and four way workstations along with double and single sided workbenches. All of which come with a 25mm melamine top with rounded corners. 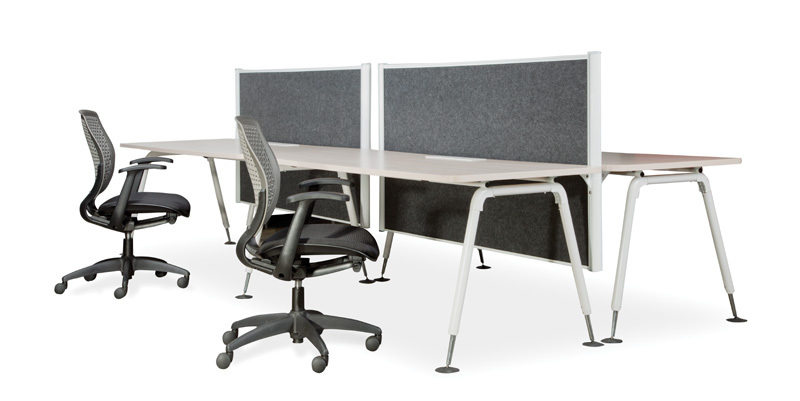 Mint workstations work exceptionally well with our range of Vast desk mounted screens, which can be upholstered in any fabric and come with or without an accessory rail.